No doubt, bud. AND, the view is almost straight-on the prime landing targets for better than 75% of the missions that have gone to Mars. And it's always nice to see Colony-One's LZ that we chose in the ThinkTank. Did you get a chance to see the "slide show" in that post...it shows one of the rovers on the side of a crater....a probe shot of a rover which had taken shots of the area....pretty neat. I did. 2015's Science Return was the stuff of legend. That 360 Panorama ... it makes me almost want to reach out and scoop up a handful of Martian soil with my hands, and examine it closely with my own eyes. The grains, asking each one individually "What's happened to you over the course of your lifetime?" Listening to that barely audible Martian wind .. the stark aloneness that comes with being the only Human on Mars. Knowing that nobody else could possibly be thinking what I'm thinking, or feeling what I'm feeling, within 30 million miles of me. The calm acceptance that settles over me as I let that handful of Martian soil fall back to the surface, knowing that for this moment, I am truly the only being that exists here. And then I realize I'm not really here. 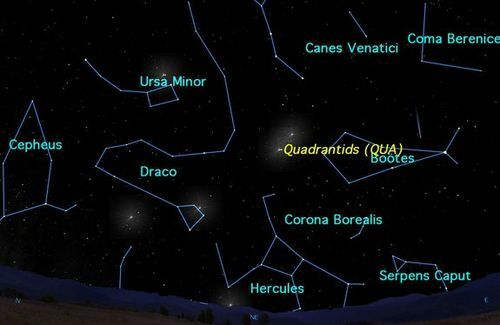 The 2016 Quadrantid meteor shower of 2016 peaks before dawn on Monday Jan. 4, and could be one of the best of the year, weather permitting. Here, astrophotographer Roberto Porto captures a Qudrantid meteor over Tenerife in Spain's Canary Islands in 2012. The first meteor display of 2016 – the Quadrantid meteor shower - will hit its peak early Monday morning (Jan. 4), with a strong display of "shooting stars" likely for Europe and North America. Weather permitting, observers in the eastern regions of the United States and Canada will be in position for the maximum activity from the Quadrantid meteor shower, which is expected about 3 a.m. EST, when the radiant of the shower will be well up the dark northeastern sky. This is perfect timing – it falls right in our prime meteor-watching hours before dawn. The meteors appear to radiate from a spot on the sky midway between the last handle star of the Big Dipper and the head of Draco, the Dragon. The radiant is actually located within the boundaries of the constellation of Boötes, the Herdsman, so we might expect them to be called the "Boötids." But back in the late-18th century there was a constellation here called Quadrans Muralis, the "Mural or Wall Quadrant" (an astronomical instrument). It is long-obsolete star pattern, invented in 1795 by J.J. Lalande to commemorate the instrument used to observe the stars in his catalogue. Adolphe Quetelet of Brussels Observatory discovered the shower in the 1830s, and shortly afterward it was noted by several astronomers in Europe and America. Thus they were christened "Quadrantids" and even though the constellation from which these meteors appear to radiate no longer exists, the shower's original moniker continues to this day. 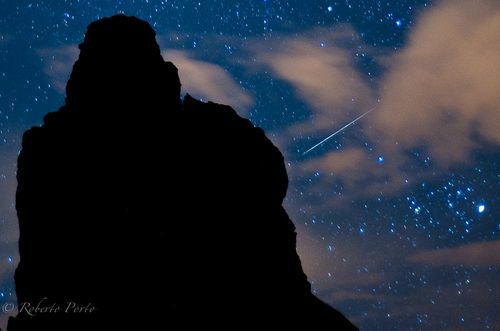 For mid-northern observers, the meteor shower's radiant stays near the northern horizon until midnight but rises high in the northeast by dawn. And come Monday morning observers all across North America may experience one of the best meteor showers of the year. Morning twilight will not interfere until about 6 a.m. local time. The predicted hour for the peak – 3 a.m. EST – comes from the Canadian Observer's Handbook. At greatest activity, probably anywhere from 60 to 120 meteors per hour will be seen. These moderately swift, many leaving trains, may be seen by a single observer with a dark sky. Any light pollution cuts down the numbers greatly. Give your eyes at least 15 to 20 minutes to adapt to the dark before started a serious meteor count. According to Guy Ottewell, editor of the 2016 edition of the Astronomical Calendar, "Faint Quadrantids caused by small particles may peak half a day earlier, and there may sometimes be a second peak some hours later, detected partly by radio observations." Here, Cassini has captured Enceladus (313 miles or 504 kilometers across) above the rings and Rhea (949 miles or 1,527 kilometers across) below. The comparatively tiny speck of Atlas (19 miles or 30 kilometers across) can also be seen just above and to the left of Rhea, and just above the thin line of Saturn's F ring. The view was obtained at a distance of approximately 1.8 million miles (2.8 million kilometers) from Rhea. Image scale on Rhea is 10 miles (16 kilometers) per pixel. The distance to Enceladus was 1.3 million miles (2.1 million kilometers) for a scale of 5 miles (8 kilometers) per pixel. The distance to Atlas was 1.5 million miles (2.4 million) kilometers) for an image scale at Atlas of 9 miles (14 kilometers) per pixel. The Curiosity Rover has sent back images of a sand dune measuring 15 feet in height, boasting an incredibly steep downwind slope. It’s the first image of a dune like this on Mars — and the dunes, blown by Martian winds, react much in the same way they do on Earth’s deserts. “As on Earth, the downwind side of a sand dune has a steep slope called a slip face,” reads an announcement by NASA about the Martian landscape. is available in many sizes, including a monster full tiff at 320MB...all are here at the link..
Oh man! The first thing I thought of after reading the post and getting a nice, zoomed-in look-see was that it would make a fantastic backdrop for a Sci-Fi movie. Then I remembered that it's science fact -- and that Curiosity is seeing stuff like this every time it turns on its' instruments. 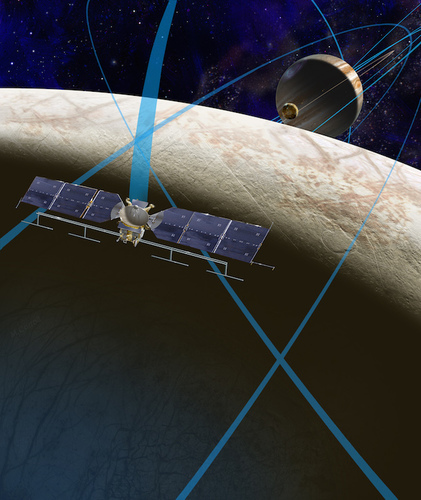 As NASA quietly works on a lander that could accompany a $2 billion flyby probe to Jupiter’s icy moon Europa, the head of the European Space Agency’s science program tells Spaceflight Now that Europe is ready to play a significant role in the project. The goals of the ESA contribution would be decided by European scientists, but the agency has the funding for a piggyback probe costing up to 500 million euros, or nearly $550 million, according to Alvaro Gimenez, ESA’s director of science and robotic exploration. NASA asked the European Space Agency last year whether it was interested in contributing to the Europa mission, and Gimenez said in an interview with Spaceflight Now that the answer is yes. “We will participate with no cost to NASA by us contributing something equivalent to a half-billion euros in cost to ESA,” Gimenez said. 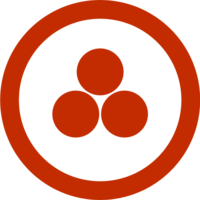 “Now, where it goes depends on the cooperation. NASA officials say the design of the Europa spacecraft, which is still unnamed, has room for an extra 250 kilograms, or 550 pounds, of mass. With limited free space and mass aboard the Europa mission, the spacecraft may be able to accommodate a lander or a sizable ESA piggyback probe, but perhaps not both. 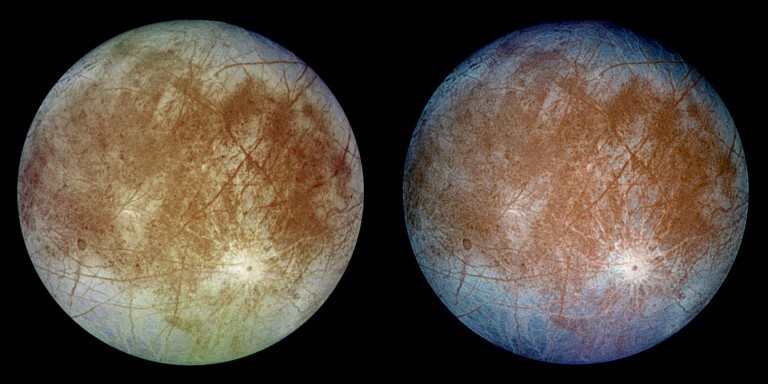 The solar-powered spacecraft is expected to launch no sooner than 2022, then slip into orbit around Jupiter on a trajectory to make up to 45 flybys of Europa, which spans more than 3,100 kilometers (1,900 miles) in diameter and harbors a global ice sheet floating on top of an ocean of liquid water. Scientists place Europa at or near the top of locations in the solar system to search for life, and a survey released by the National Research Council in 2011 ranked a potential Europa mission as the second-highest priority for NASA, after a rover set for launch in 2020 to collect samples on Mars for eventual return to Earth. 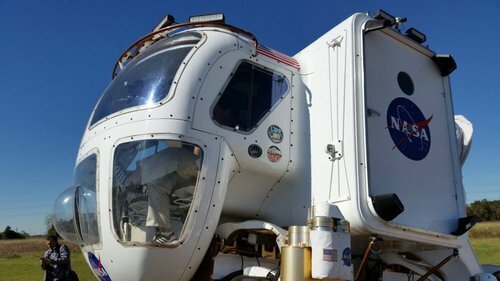 This is a bit of a corny article, but I thought it would be good to post it....only because of the nice images and motion shots of the NASA prototype "cruiser". 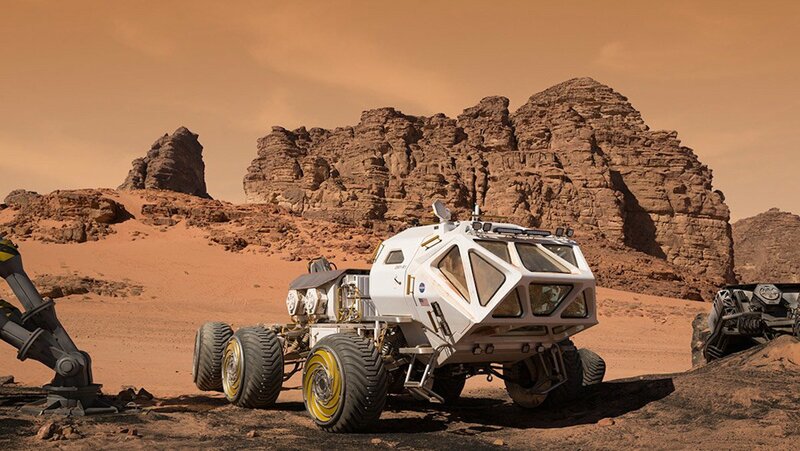 It's not the fastest or the sleekest, but NASA's Space Exploration Vehicle (SEV) is definitely the coolest car on the planet — and hopefully, before too long, something like it will be the coolest car on other worlds as well. The SEV is one of NASA’s concepts for a new generation of flexible vehicles that can transport astronauts across near-earth asteroids and Mars. To see what this might be like, we got inside this 6,600-pound behemoth of a machine for a test run. As you might expect, driving something that’s designed for traipsing across another planet is an out-of-this-world experience. Oh sure, I remember these. I like the first one very much. They had a Documentary about these in 2006 or so about some Prototype models that these are based from, when NASA was deciding which one they wanted to build. 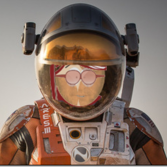 Hello, my fellow space travelers! I've always been fascinated by the examples of Fibonacci sequence, the golden ratio, and the sacred geometry present in nature (broccoli romanesco is my favourite, love to cook it :D), so I've found the following videos to be very exciting! Hope you'll enjoy them too! There's also an idea that the dimension you currently occupy will represent itself as facets that will replicate themselves as patterns upward from the microscopic scale on up to the macroscopic scale; ie, "the large reflects the small". Patterns get reproduced regardless of scale. An interesting idea but it seems a little too "pseudo-sciencey" for me currently. Yes, it takes at least the following year to get the "documented and peer reviewed" paperwork....but, I don't mind waiting as it's usually worth it. 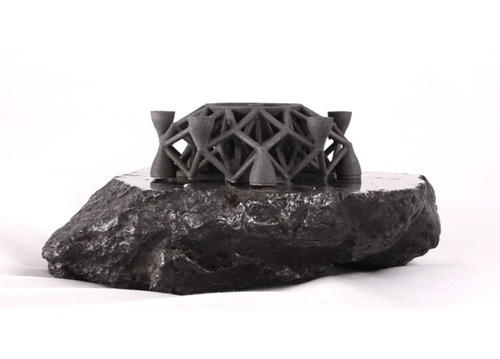 Planetary Resources, in collaboration with our partner 3D Systems, have developed the first ever direct metal print from asteroid metals. At the Consumer Electronics Show (CES) today in Las Vegas, NV., we unveiled the geometric object on the Engadget stage. This spacecraft prototype was 3D printed from actual an asteroid that was, pulverized, powdered and processed on the new 3D Systems (NYSE: DDD) ProX DMP 320 metals 3D printer. It is the first part ever 3D Printed with material from outer space and is reminiscent of a design that could originate from a 3D printer in the zero-gravity environment of space. The asteroid (or meteorite) used for the print materials was sourced from the Campo Del Cielo impact near Argentina, and is composed of iron, nickel and cobalt similar materials to refinery grade steel. This image, constructed from more than six years of observations by NASA's Fermi Gamma-ray Space Telescope, is the first to show how the entire sky appears at energies between 50 billion (GeV) and 2 trillion electron volts (TeV). For comparison, the energy of visible light falls between about 2 and 3 electron volts. A diffuse glow fills the sky and is brightest in the middle of the map, along the central plane of our galaxy. The famous Fermi Bubbles, first detected in 2010, appear as red extensions north and south of the galactic center and are much more pronounced at these energies. Discrete gamma-ray sources include pulsar wind nebulae and supernova remnants within our galaxy, as well as distant galaxies called blazars powered by supermassive black holes. 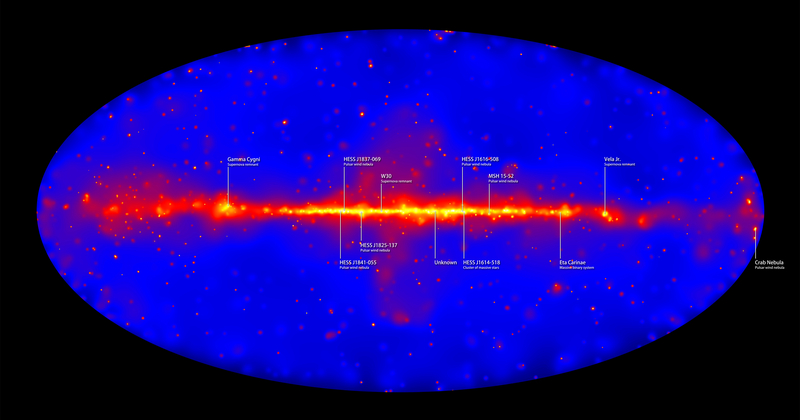 Labels show the highest-energy sources, all located within our galaxy and emitting gamma rays exceeding 1 TeV. Image courtesy NASA/DOE/Fermi LAT Collaboration. A new sky map reveals hundreds of these sources, including 12 that produce gamma rays with energies exceeding a trillion times the energy of visible light. The survey also discovered four dozen new sources that remain undetected at any other wavelength. "What made this advance possible was a complete reanalysis, which we call Pass 8, of all data acquired by Fermi's Large Area Telescope (LAT)," said Marco Ajello, a Fermi team member at Clemson University in South Carolina. "The end result is effectively a complete instrument upgrade without our ever having to leave the ground." By carefully reexamining every gamma-ray and particle detection by the LAT since Fermi's 2008 launch, scientists improved their knowledge of the detector's response to each event and to the background environment in which it was measured. This enabled the Fermi team to find many gamma rays that previously had been missed while simultaneously improving the LAT's ability to determine the directions of incoming gamma rays. These improvements effectively sharpen the LAT's view while also significantly widening its useful energy range. "Of the 360 sources we cataloged, about 75 percent are blazars, which are distant galaxies sporting jets powered by supermassive black holes," said co-investigator Alberto Dominguez at the Complutense University in Madrid. "The highest-energy sources, all located in our galaxy, are mostly remnants of supernova explosions and pulsar wind nebulae, places where rapidly rotating neutron stars accelerate particles to near the speed of light." One famous example, the Crab Nebula, tops the list of the highest-energy Fermi sources, producing a steady drizzle of gamma rays exceeding 1 TeV. "An exciting aspect of this catalog is that we find many new sources that emit gamma rays over a comparatively large patch of the sky," explained Jamie Cohen, a University of Maryland graduate student working with the Fermi team at NASA's Goddard Space Flight Center in Greenbelt. "Finding more of these objects enables us to probe their structures as well as better understand mechanisms that accelerate the subatomic particles that ultimately produce gamma-ray emission." The new catalog identifies 25 of these extended objects, including three new pulsar wind nebulae and two new supernova remnants. 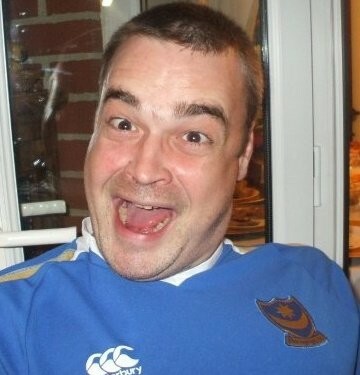 Finally got the image they've been waiting for. LOOK AT THAT GLOW! WASHINGTON — NASA has added two potentially habitable moons of Saturn to the list of possible destinations for its next billion-dollar planetary science mission. 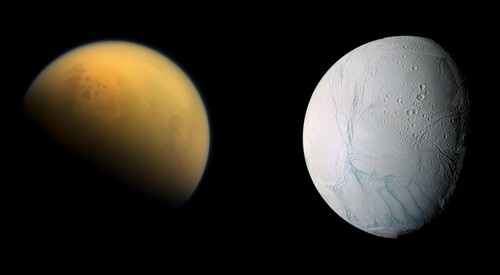 In a Jan. 6 “community announcement” email to scientists, NASA said that “Ocean Worlds,” which it defined as Saturn’s moons Titan and Enceladus, were now included in a set of six classes of missions that the agency would accept proposals for in the next New Frontiers competition in 2017. “The Ocean Worlds theme for this announcement is tentatively focused on the search for signs of extant life and/or characterizing the potential habitability of Titan or Enceladus,” the announcement stated. The statement did not explain why Ocean Worlds theme was added to New Frontiers. Scientists have found evidence in recent years that both moons could be habitable. Titan, Saturn’s largest moon, has a dense atmosphere and lakes of liquid hydrocarbon on its surface. Smaller Enceladus likely has an ocean of liquid water beneath its icy surface. The decision comes after the House, in the report accompanying its version of a fiscal year 2016 appropriations bill, directed NASA to establish an “Ocean Worlds Exploration Program,” specifically citing discoveries made on Titan and Enceladus. “The Committee directs NASA to create an Ocean World Exploration Program whose primary goal is to discover extant life on another world using a mix of Discovery, New Frontiers and flagship class missions consistent with the recommendations of current and future Planetary Decadal surveys,” the report stated. That language was not included in the report accompanying the final omnibus spending bill, however. Scientists have previously proposed smaller Discovery-class missions to both moons. Titan Mare Explorer, a mission that would have landed a probe in one of Titan’s liquid hydrocarbon lakes, was a finalist in the previous Discovery competition in 2012 ultimately won by the Mars InSight Lander. Enceladus Life Finder, a mission to perform multiple flybys of Enceladus, was submitted to the latest Discovery competition in 2015, but was not among the five finalists NASA selected in September for further study. A Venus atmospheric probe and lander. NASA plans to issue a draft version of the New Frontiers announcement of opportunity in July and seek feedback. A final version is scheduled for release in January 2017, with proposals due to the agency 90 days later. NASA will select several proposals for additional concept studies by November 2017. That schedule calls for a final decision on the mission by May 2019, with launch by 2024. The New Frontiers mission will have a cost cap for development of $850 million. That total does not include launch or operations, which would likely push the mission’s total cost to more than $1 billion. The announcement also confirmed that NASA will make available up to three nuclear power systems known as multi-mission radioisotope thermoelectric generators (MMRTGs). The cost of using them will be included in the $850 million cap, with missions assessed costs between $105 million and $165 million depending on the number of MMRTGs used. Adding the nuclear power systems would also delay the mission’s launch to 2025. The selected mission will be the fourth in the New Frontiers program, which fills the gap between smaller Discovery missions and large flagship planetary missions. New Horizons, which flew past Pluto last July, was the first New Frontiers mission, and Juno, which will enter orbit around Jupiter this July, is the second. The third New Frontiers mission, an asteroid sample return spacecraft called OSIRIS-REx, is scheduled for launch in September. And with a diameter of about 72,400 miles (116,500 kilometers), the planet simply dwarfs its retinue of moons. 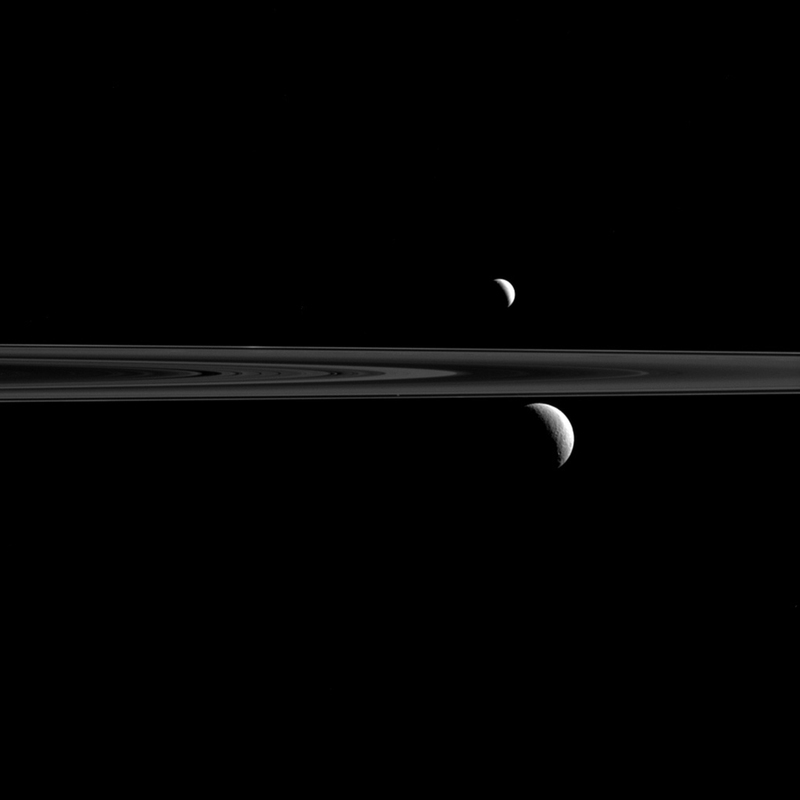 One of those satellites, Tethys (660 miles or 1,062 kilometers across), is seen here at lower right. Mars' seasonal cap of carbon dioxide ice has eroded many beautiful terrains as it sublimates (goes directly from ice to vapor) every spring. 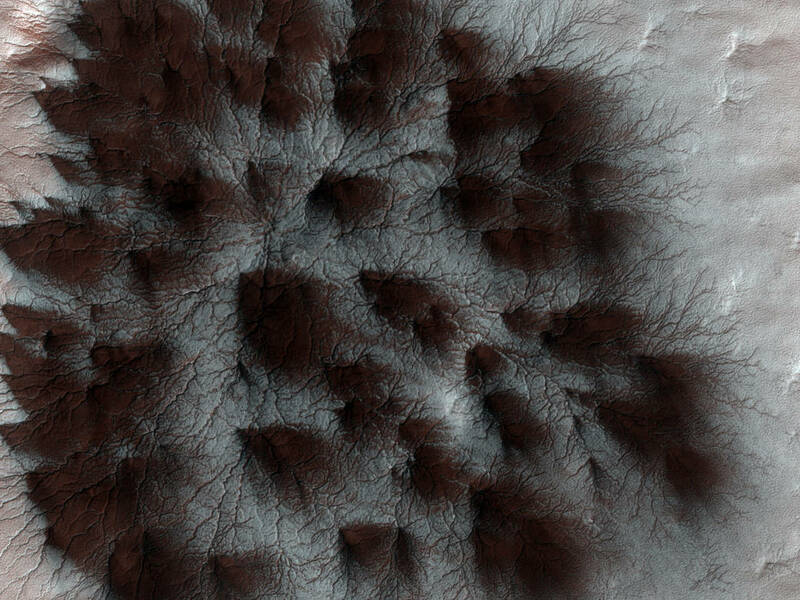 In the region where the High Resolution Imaging Science Experiment (HiRISE) camera on NASA's Mars Reconnaissance Orbiter took this image, we see troughs that form a starburst pattern. In other areas these radial troughs have been refered to as spiders, simply because of their shape. In this region the pattern looks more dendritic as channels branch out numerous times as they get further from the center. This image, covering an area about 1 kilometer (0.6 mile) across, is a portion of the HiRISE observation catalogued as ESP_011842_0980, taken on Feb. 4, 2009. The observation is centered at 81.8 degrees south latitude, 76.2 degrees east longitude. The image was taken at a local Mars time of 4:56 p.m. and the scene is illuminated from the west with a solar incidence angle of 78 degrees, thus the sun was about 12 degrees above the horizon. At a solar longitude of 203.6 degrees, the season on Mars is northern autumn. 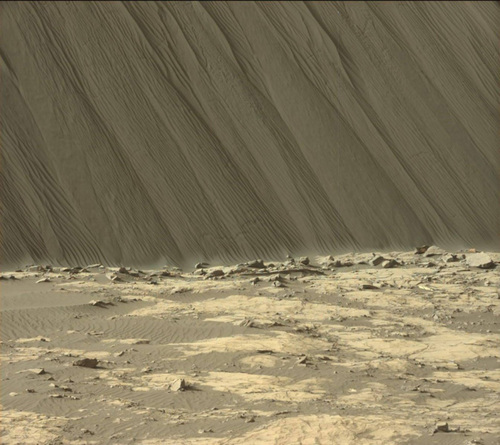 From this and Nasa/JPL-Caltech articles, it appears Mars has two dune types. One type composed of larger granular material, which now, does not move due to losses of atmosphere, and the other type, composed of finer particulates. The outer dust layers are usually lighter colored and base material appears to be mostly darker compositions. They are composed of mafic mineral sands, such as pyroxenes. The light granular grains can be as small as "smoke dust" and the absence of water has maintained structure and ensured continued erosion from environmental forces. In a nutshell...This stuff is going to be great for regolith construction techniques, even 3D printing.